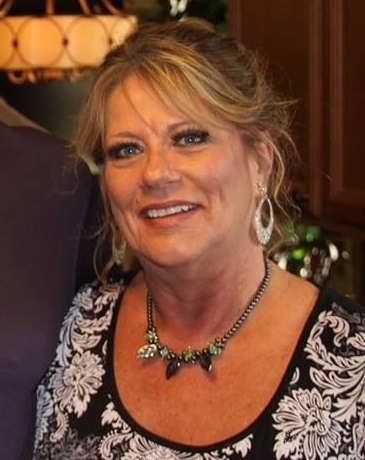 Terry Lynn Munn, 62 years old, of Huntsville, AL and Tupelo, MS, died Thursday, March 28th, 2019 as the result of sepsis. Those who knew Terry will forever treasure her vivacious energy and her fiery zest for life. Terry was born on September 24th, 1956 in Kenosha, WI to Wilmer and Edna Robinson. Her childhood was spent in Kenosha, but she lived in the Tupelo area most of her adult life. She moved to Huntsville just recently to be closer to her daughter and grandchildren. She and her beloved husband, Max Munn, a retired educator who worked a combined 34 years between the Tupelo School System and Itawamba Community College (ICC), were hopelessly romantic and soulmates, who were married for 33 years. Terry was an outstanding and much-loved hair dresser for 33 years. Her customers came from various states often traveling many miles to use her talented skills in color and style. She successfully owned and operated Cutting Edge Salon for more than 20 years, winning “salon runner up” for Readers Choice. Terry also had a very creative touch, frequently making beautiful flower arrangements and decorating rooms for her beloved grandchildren. Terry loved reading, swimming, baking casseroles, watching TV, gardening, and above all, traveling. In fact, she and her husband, Max traveled to nearly every state in the US and visited over 46 foreign countries. Her “heart of hearts” were her three grandchildren, Cruz, Mercedes, and Sterling. She spent every available moment hugging, kissing, playing, singing, reading, and coveting those three grandchildren. She loved her only child, her daughter Lindsey, with her whole heart. Another major love of Terry’s was animals. She often rescued abused dogs and nurtured them back to health and life. She was preceded in death by her sister and brother-in-law, Peggy and Terry Wood, her father, Wilmer Robinson, and her brother-in-law, Roy Yarber. Survivors include her husband, Max Munn, of Tupelo, MS and Huntsville, AL, her daughter Lindsey (Daniel) Shafer of Huntsville, AL, three grandchildren, Cruz, Mercedes, and Sterling Shafer of Huntsville, AL, her mother, Edna Robinson of Tupelo, MS, one sister, Glenda Yarber Crowe (Ellis) of Tupelo, MS, and one niece, Jessica Yarber Johnston (Chad) of Tupelo, MS.
Pallbearers will be: Steve Friedlander, Glyn Hughes, Larry Boggs, Ellis Crowe, Phil Waldrop, and Mike Deaton. A service of Death and Resurrection celebrating her remarkable life will be at 2:00 p.m. on Sunday, March 31st, 2019, at Holland Funeral Directors, Tupelo Chapel with the Reverend Jimmy Henry officiating. Private burial will follow at Lee Memorial Park. Visitation will be just prior to service time from 12:00 p.m. to 2:00 p.m. on Sunday. Memorials may be sent to Tupelo-Lee Humane Society, P.O. Box 1185, Tupelo, MS 38802. Condolences to the family may be posted at www.hollandfuneraldirectors.com. Those who can not attend may view the services at 2:00 p.m., Sunday and for 60 days following at www.hollandfuneraldirectors.com/livestreaming.